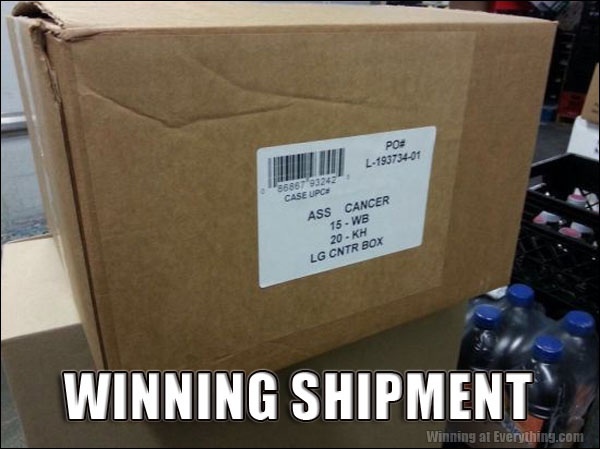 It was delivered in the rear. Even if you read it as “Assorted Cancer” as the abbreviation would imply, it still makes no sense. Unless they are shipping a year’s worth of horoscopes in 12 different boxes?